The security will include a “man trap” at each end of the facility. These force people who want to enter to pass a screening door to get inside the actual building space. The building will also have an 8-foot chain-link security fence, according to the Winston-Salem Journal. 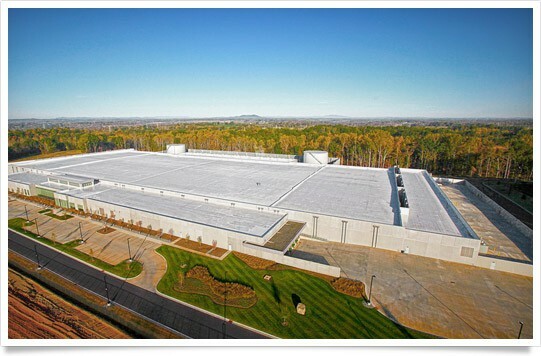 Apple isn’t only building a data center in Maiden, however. The company is also building the largest solar farm in the world (!) across the street from the above data center, as well as a fuel cell installation. These are expected to produce enough electricity to power close to 11,000 homes, says Apple. The data center is only one of several around the country, including sites in Reno, Nevada and Prineville, Oregon. The locals of Maiden, however, seem to be happy to be one of the places Apple is investing in. “I think they are expecting to continue to grow at phenomenal rates,” said Scott Millar, director of Catawba County Economic Development Corporation. “That phenomenal growth will continue to provide opportunities for us.” He added that the county keeps a “close relationship” with Apple. Which makes a ton of sense, really.